Do the Twins really need Miguel Sano to win this season? What should Minnesota do with the slugger? The Twins are off to a nice start (4-1) in the early stages of the 2019 season. Their offense has delivered some clutch hitting and free agent Nelson Cruz has been everything the team hoped he would be. However, Minnesota is without the services of slugger Miguel Sano, who opened the season on the injured list because of a severe cut above his heel on his right foot, which will keep him out of the lineup until next month. Sano has dealt with a barrage of injuries and adversity in his young career, which begs the question: Do the Twins even need Sano to be successful this season? Before we answer that question, let&apos;s take a look at what Sano&apos;s done in the first four years of his career. In 2014, Sano was considered the sixth best prospect, according to Baseball America. Since joining the Twins in 2015, he owns a career slash line of: .244/.336/.477 for an OPS of .813; he&apos;s averaged 21 home runs, 48 walks and 146 strikeouts in 94 games played per season. It&apos;s also worth noting that Sano&apos;s best season in terms of OPS (.916) came in his rookie season in 2015 when he slashed .269/.385/.530. Since then, he&apos;s had two disappointing seasons in 2016 and 2018 but he was an All-Star in 2017. Here&apos;s what he&apos;s produced since 2016 in his age 23-25 seasons. Per 162 games average: 36 home runs, 99 RBI, 75 walks, 251 strikeouts. Plenty of top prospects have put up numbers similar to Sano in their early years, but failed to turn it into longterm successes. Here&apos;s a handful of them. Still active in Seattle but his days look numbered. It&apos;s worth nothing that Stewart and Rasmus are the worst-case scenarios for Sano. Bruce, though, has had a solid career belting 280 home runs with a couple of All-Star appearances, but certainly isn&apos;t destined for the Hall of Fame. It&apos;s obvious that Sano has unbelievable power but he also strikes out a ton. If he strikes out at the rate that his 162-game projection suggests, it would shatter the MLB record of 223 held by Mark Reynolds. Another player who&apos;s pedigree, power and whiff rate is similar to Sano is Texas Rangers slugger Joey Gallo. Gallo is boom or bust and the left-handed hitter is extremely pull happy, meaning he takes the ball with him on the right side of the field. Just check out how teams shift against him. In Sano&apos;s defense, he&apos;s a right-handed hitter and isn&apos;t as pull happy as Gallo, but the power and the strikeout numbers match up. Before you start coming to the conclusion that Sano is just like all the other failed prospects, I&apos;m not ready to write him off as a bust. Twins fans need no reminders of cutting bait early on a power hitter and watching them flourish with another team, and helping them to World Series championships. If you haven&apos;t guessed who I&apos;m talking about yet, it rhymes with Bavid Snortiz. The difference between Ortiz and Sano is plate discipline. Ortiz wasn&apos;t striking out a ton but like Sano, he did miss time with a barrage of injuries. Another big power hitter who strikes out but is a perennial All-Star and former MVP winner is Giancarlo Stanton. It might be too far-fetched to call Sano the next Stanton but it&apos;s definitely not completely out of the equation either. Marwin Gonzalez has been filling in at third base while Sano&apos;s out and he&apos;s been occupying his spot in the middle of the order, too. Also, some guy named Willians Astudillo continues to mash at the plate and if he keeps it going, he&apos;s going to force manager Rocco Baldelli to put him in the lineup everyday. Through five games, the Twins as a team are pacing the American League in batting average at .265 and they&apos;ve been incredibly clutch. In late and close situations – plate appearances in the 7th inning or later when the game&apos;s tied, ahead by one or tying run is on deck – Minnesota&apos;s lineup is hitting .349 (15/43), according to Baseball Reference. That&apos;s despite the team having just one home run through five games. Personally, I think it’s too early to just cut bait and give up on Sano; he’s under team control through 2021 so the Twins won’t bail on him immediately. However, if the lineup continues to have success and Sano continues to show that he either can&apos;t stay healthy or limit his strikeout rate, then it might be time to move on. 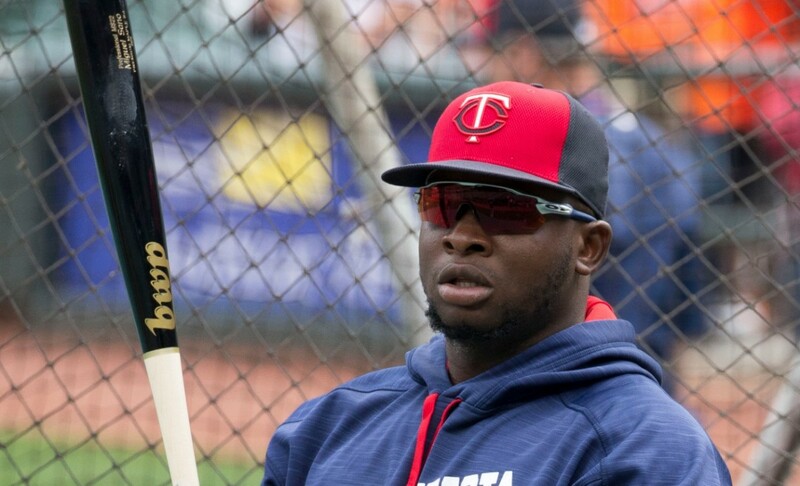 What's wrong with Twins slugger Miguel Sano? Sano is hitting just .203 on the season. Sano is tearing the cover off the ball.